‘Insectal’-one of a few words used to describe Cardiff’s cityscape. Indeed, when viewed from a distance, a small number of the buildings and landmarks that punctuate the skyline of Cardiff bear a passing resemblance to some of the city’s most common creepy crawlies: The Wales Millennium Centre, a true Cardiff landmark, takes the shape of a beetle from certain angles; the Principality Stadium, with its jutting, angular steel spires, looks a bit like a spider or a crab. However vivid your imagination, there is no denying that Cardiff is home to an assortment of breath-taking buildings, the sort that would make the most hardened of structural engineers shed an appreciative tear. Take the Senedd for instance (which happens to resemble a sting ray), or the city centre library-two buildings that are as beautiful as they are practical. Even the John Lewis building, with its endless glass façade and sweeping curves, evokes a feeling of awe in the beholder from time to time. The juxtaposition of old Cardiff buildings with the new is what makes this city so interesting-the Pierhead Building, Cardiff Castle and City Hall, all of which are listed buildings, are a joy to behold and contribute to the city’s appeal as a go-to destination for tourists. Cardiff University, ranked number 25 in a list of the best Universities in the UK, is home to a wide range of diverse buildings, itself no stranger to the juxtaposition of old and new. Having expanded considerably over the years, many of the University’s departments have outgrown the original Victorian buildings that litter Cathays Park and have scattered across the city centre. Both administrative and academic functions of the University inhabit a range of purpose built buildings, each of which a prime example of the style of architecture that prevailed at the time of construction. A member of the Russell Group, a body which encompasses 24 UK based institutions noted for their research and teaching excellence, Cardiff University’s accomplishments in the combined fields of psychology, psychiatry and neuroscience has cemented its reputation as a leading brain research centre the World over. It is this reputation that led to the development of the University’s Science and Innovation Campus. The CUBRIC building, home to a 3 Tesla Microstructure MRI scanner, one of only a few in existence. 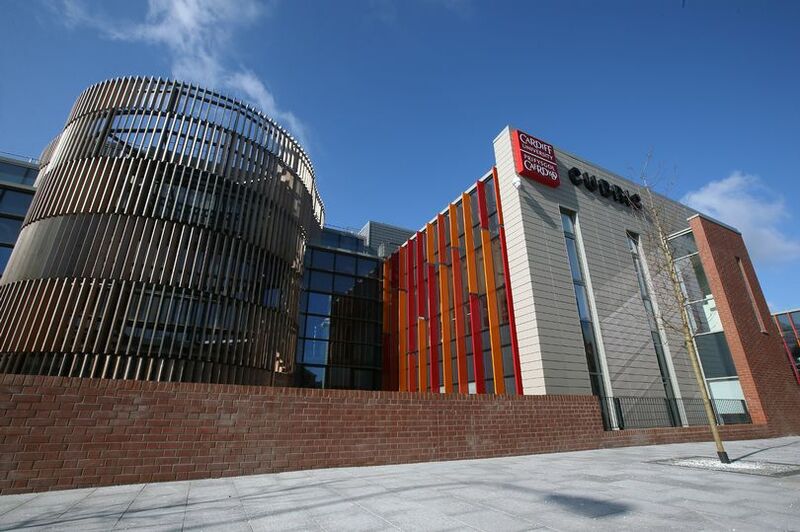 An ambitious project, HLN Engineering Ltd was brought in to assist with the structural engineering element of phase 2, the development of the World class CUBRIC building (Cardiff University’s Brain Research Imaging Centre). 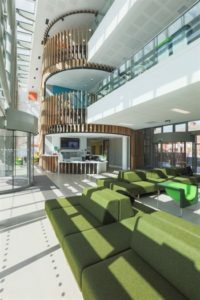 Officially opened in March 2016, this state of the art research facility, situated on the site of an old train yard near Maindy Road, Cardiff, is one of the leading brain imaging facilities in Europe. This is thanks to a range of cutting edge neuro-imaging equipment, including a 40 tonne 7T MRI scanner and a 3 Tesla Microstructure MRI scanner, one of only a few in existence. The research undertaken here will further help scientist’s understanding of the causes of neurological and psychiatric conditions such as dementia, schizophrenia and multiple sclerosis. Outer shell: this was comprised of a reinforced concrete structure with a steel frame on top to hide any plant (i.e. ventilation systems, air conditioning etc). Building Foundations and Support slabs: great emphasis was placed on the parts of the building that house the heavy scanning equipment. Drainage design: In line with the environmentally friendly and sustainable ethos of the building’s construction and on-going use, we incorporated a SuDS drainage system into our drainage designs to help store and re-use rain water throughout the building. Entrance hall: the steel frame and glass arch that dominates the building’s impressive entrance hall was designed by our in-house architects, in conjunction with our award winning structural engineers. The brief was simple: a future-proof building, constructed in an environmentally friendly manner, using sustainable materials sourced locally. For our part, we delivered bespoke structural engineering designs that will stand the test of time and contributed to the core team’s target of a coveted BREEAM Excellent rating. Collectively, we were faced with the challenge of ensuring the building will remain energy efficient, which is crucial, given the fact that some of the equipment housed in the building will use up to 24 megawatts of power! As a result of the team’s combined efforts, the building has since achieved an impressive EPC ‘A’ rating. Recently, the CUBRIC building was featured in an article published by WalesOnline entitled ‘The Six Best Buildings in Wales have been Revealed’, as a result of its success at the RICS Wales awards early this year and subsequent entry into the national RICS UK awards.